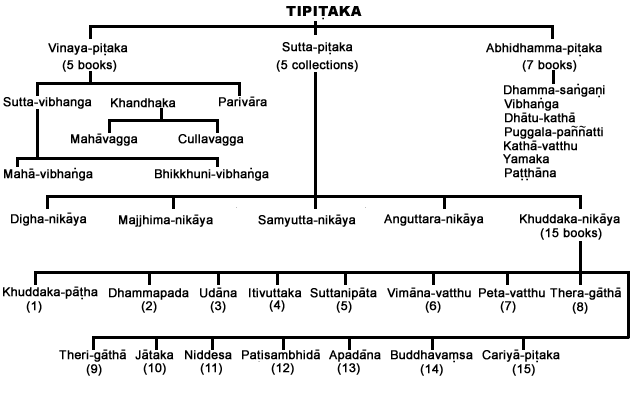 Tripiṭaka is a traditional term used by various Buddhist sects to describe their various canons of scriptures. 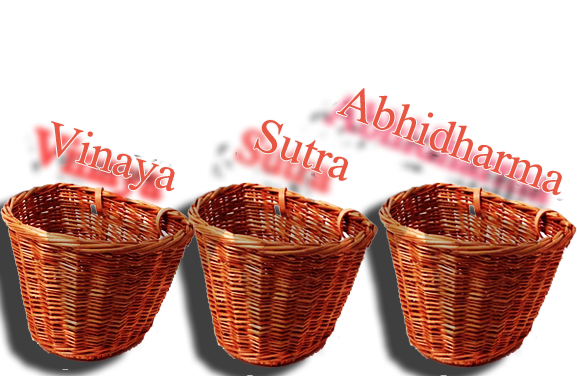 As the name suggests, a Tripiṭaka traditionally contains three “baskets” of teachings: a Sūtra Piṭaka (Sanskrit; Pali: Sutta Pitaka), a Vinaya Piṭaka (Sanskrit & Pali) and an Abhidharma Piṭaka (Sanskrit; Pali: Abhidhamma Piṭaka). These are mainly teachings and sermons of Buddha originally transcribed in Sanskrit or Pali. It may contain description of Buddha and parables which may lead to enlightenment to the reader. Rules and regulation of monastic life that range from dress code and dietary rules to prohibition in personal conduct. Introduction: This section teaches mainly about the training of superior moral discipline, includes, among other topics. Introduction: This section teaches mainly about the training of superior mind, which concerns signlessness. Location(Buddha taught at): Various abodes of gods and nagas, for the sake of innumerable monks, nuns, gods, nagas and bodhisattavas. Introduction: This section teaches mainly about the training of superior discriminative awareness, with definitive meaning.